Common Vaping Mistakes Beginners Need to Avoid? Switched from smoking to vaping? Well, congratulations on making a smart decision! http://www.amazinglifestylesblog.com/wp-content/uploads/2019/01/vape.png 413 618 Scarlett Gabb http://www.amazinglifestylesblog.com/wp-content/uploads/2016/11/logo.png Scarlett Gabb2019-01-30 09:00:392019-01-12 11:31:36Common Vaping Mistakes Beginners Need to Avoid? A Beginner’s Guide to Vaping: What is an E-Liquid? http://www.amazinglifestylesblog.com/wp-content/uploads/2019/01/vaping-e-liquid.png 420 628 Scarlett Gabb http://www.amazinglifestylesblog.com/wp-content/uploads/2016/11/logo.png Scarlett Gabb2019-01-12 11:24:052019-01-12 11:24:05A Beginner’s Guide to Vaping: What is an E-Liquid? Living in the world of glitz and glam, celebrities can often seem like an untouchable entity that can do no wrong. From their stylish dresses and Hollywood parties to their destination weddings and luxury holidays—their life truly seems sorted! What’s more, they’ve got all the connections in the world to sail atop the world’s most expensive yachts charters! Here’s a little glimpse into the enchanting and charming super-yachts that have been boarded by famous celebrities. Herb 101: 5 Strains You Just Need to Try! http://www.amazinglifestylesblog.com/wp-content/uploads/2018/12/Picture1.png 901 1351 Scarlett Gabb http://www.amazinglifestylesblog.com/wp-content/uploads/2016/11/logo.png Scarlett Gabb2018-12-04 10:05:052018-12-04 10:08:34Herb 101: 5 Strains You Just Need to Try! In a lot of ways, vaping is the new kid on the block. While the first patents for what became the modern e-cigarette have been around for almost a century, there wasn’t a commercially successful product till 2003. There’s a lot of research that is still being done on the benefits of vaping in comparison to smoking. But we have a pretty solid understanding today of what comprises both, and how they compare to each other. This article will tell you everything you need to know. Long story short, that’s a lot of bad. Vapes not only have a lot less nicotine, but they are also only made up of a few essential chemicals, two of which are Propylene Glycol and Vegetable Glycerin (These are what form the PG/VG values you’ve probably heard a lot about). A recent study found that vaping can be up to 95% safer than smoking tobacco in the long run. Even if we were to leave room for a massive margin of error, there is next to no doubt that vaping is generally better for you. This doesn’t even take into account factors such as people buying cheap cigarette brands which are much worse for you to save on rising costs. The essential component of both cigarettes and vapes that has the potential to get you addicted is nicotine. The question to ask then is: how do vapes and cigarettes compare? Well, it depends on a number of factors. For example, how many cigarettes do you smoke in a day? What kind of cigarettes do you smoke? Do you inhale the smoke deeply? The same goes for vaping. How long does 10 ml of e-liquid last you? What is the nicotine strength of that liquid? If we’re talking averages, however, people who vape generally take in a lot less nicotine. The average regular smoker smokes anywhere from 12-18 cigarettes a day. That’s about 20 mg of nicotine at the top end. For people who vape regularly, a 10 ml amount of e-liquid lasts about 5 days. But adding to this equation is what the nicotine strength of the liquid they vape is. If someone uses the most common 6 mg variant, their daily nicotine intake amounts to 12 mg, a sizeable difference to cigarettes. As evidenced by most of this article, e-cigarettes are generally a safer, less addictive bet than cigarettes. They’re even known to help people get on the road to quitting nicotine altogether (they come in 0 mg varieties too!). The only factor left to consider is price. 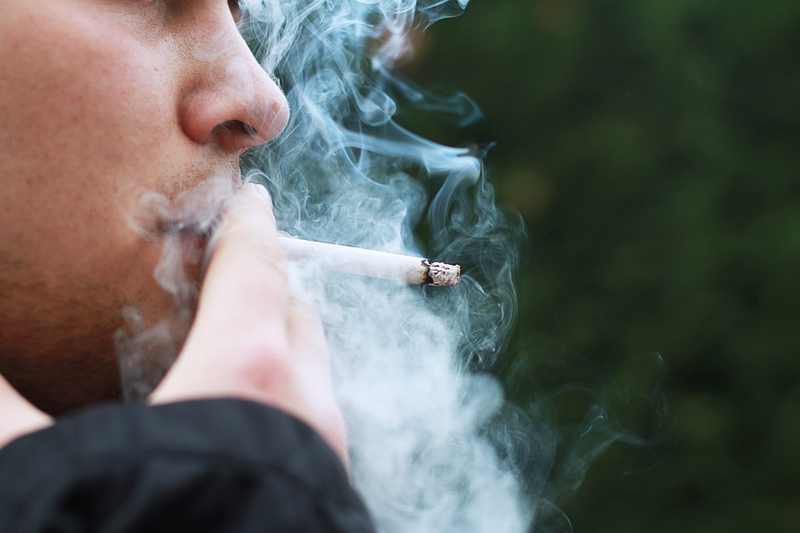 Cigarettes might seem cheaper on the surface, but the expenses add up a lot in the long run. On the other hand, buying a vape pen or mod might seem like too much upfront, but it’s definitely cheaper than smoking in the long term. We suggest looking for cheaper vape pens instead, however. If you’re someone who is looking to curb their nicotine habit slowly, Ruze Vapor is a Seattle based company that runs an online e-liquid store. They sell e-liquids—also known as vapor juice—in many nicotine strengths, from 0 mg all the way to 12 mg. Their store is a great place to replace cigarettes with vaping.